Ulzzang is a Korean word that means ”best face”, and the term is used to describe people who have become popular for their appearances. 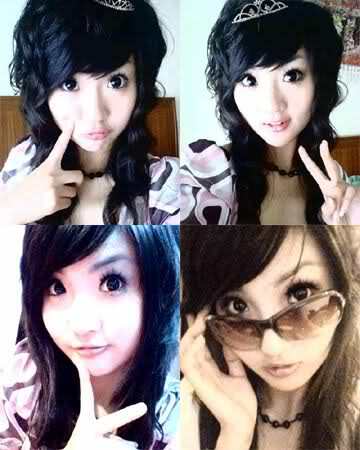 The ulzzang craze started in South Korea, where some of the most famous ulzzangs can earn celebrity status. 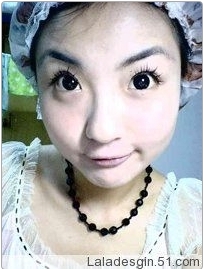 Many ulzzang wannabes post their pictures on websites, where contests are often held to pick the prettiest faces. 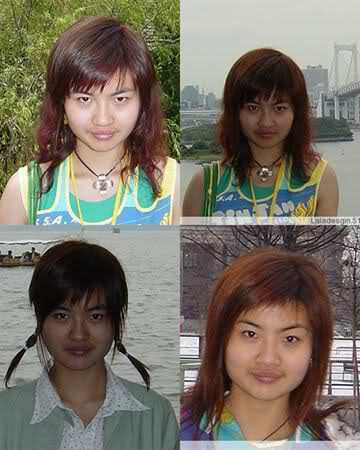 While many of these people are natural beauties, many contestants also photoshop their pictures and wear tons of makeup. As a result, some of them do not look anything like their pictures in real life. I found the following thread on Soompi and thought I'd repost it here (quite shocking). These are NOT pictures of me lol. 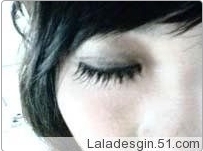 a) Brighten up the entire eyelid (between the brow and the eyelashes) using the white shadow.